Knock! Knock! Anyone home? It's COLD out here! Ooo, I voted Sheik! I know what place this is. Demonlink comes close second. I love the look of this temple quite a lot! Also dat caption tho. Edited by Shane, 21 December 2014 - 11:22 PM. It really is all your fault! Demonlink's screens - It prints votes! Aslion's pic looks pretty rad, can't wait to see more of that quest. Damn. I'd lie with just about all of these screens, but I think I'll have to go with Aslion's for being the most interesting. I don't know what to vote for. :/ These are all so good. I'll need more time to decide. the rest of these screens are also hot 'n spicy meatballs, though. good job to all. Voted for Sheik. He used color and detail well while keeping a nice, open screen. 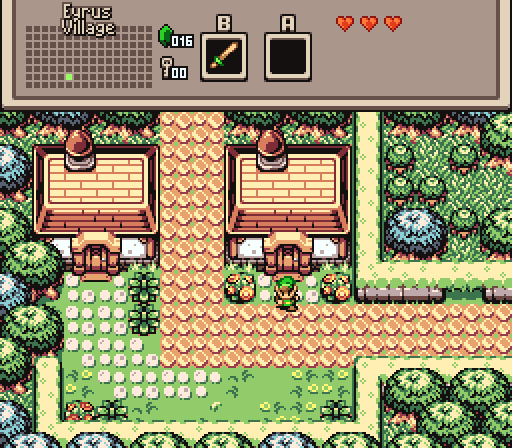 The town feels cozy. I especially like the hedge tiles. A simple, but great Screen. 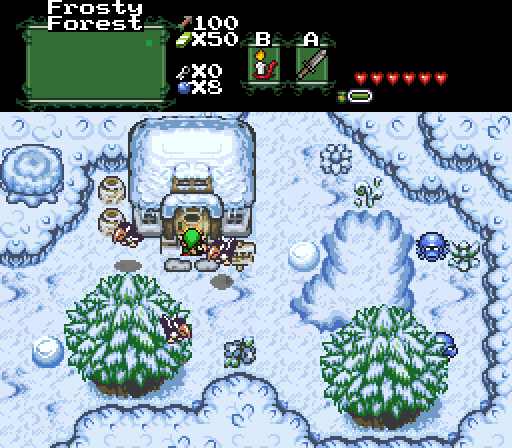 I like, how you used the desert-groudtiles for the snow. Edited by Rastael, 22 December 2014 - 01:58 AM. 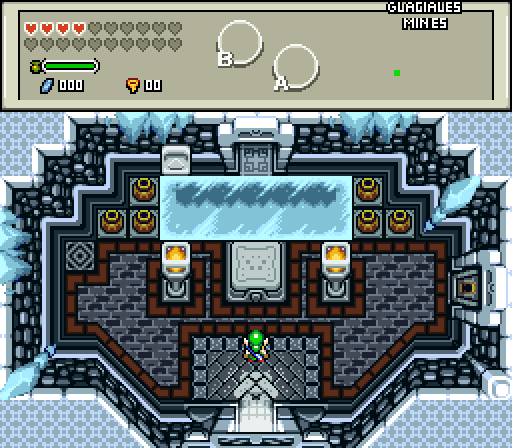 Though, after a lot of thought, I went for Demonlink for having a very interesting dungeon entrance and because it probably has ice physics which I despise so much it is truly well designed and gives a great sense of atmosphere to the screen. Edited by EddyTheOliveira, 22 December 2014 - 04:56 AM. Voted for Demonlink this week. Good dungeon design! ...Wanna hear something weird? I get the feeling that a lot of SOTWs are won just through my tiles. I'd call it The Invisible Hand of Linkus, except that it's an actual hand and all it's really doing is typing on the keyboard, or clicking a mouse, nothing really influence-wise. 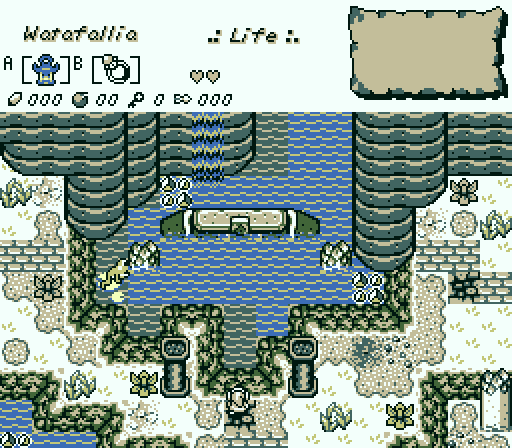 Eh, guess that's what happens when you've got years upon years of released tiles. Well, there's no doubt the community owes you for your tile artistry.